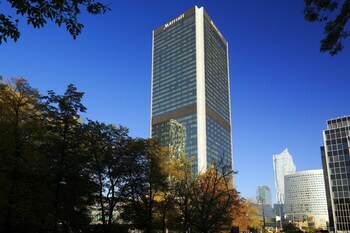 Stayed two nights while visiting Warsaw, excellent hotel in perfect location. Amazing experience will be coming back next time in Warsaw! Perfect location to visit Warsaw, be sure to use the rental bike system named Veturilo, it's a very pleasant and cheap way to get around Warsaw. 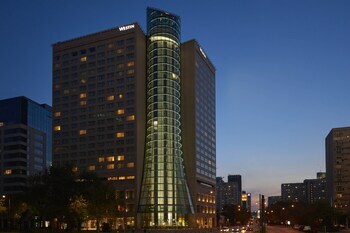 We booked this hotel for our visit to Warsaw for a friend's wedding. If you are flying out of Warsaw early in the morning and you're concerned about catching the plane, then this hotel is an excellent choice. Why you should visit a European market. Opens in a new window. The LeBrun Instagram Diaries: Wandering in Warsaw. Opens in a new window. 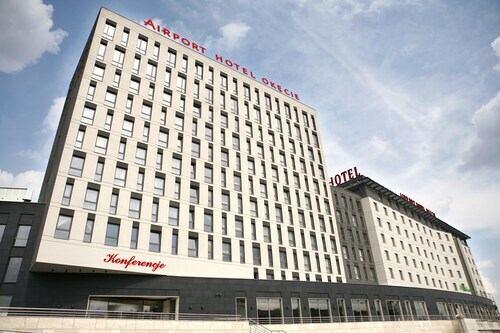 Where to find Warsaw hotels near an airport? How can I find hotels in different Warsaw neighborhoods? Where can I find hotels in Warsaw that are near tourist attractions? Visiting Warsaw? There's a selection of apartments and hotels from which to choose. You will find no less than 225 places to stay within a 0.1-kilometre (0.06-mile) radius of Warsaw's downtown in our informative and up-to-date booking section. 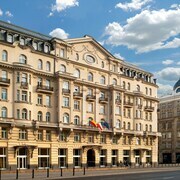 Wise vacationers who understand the convenience of basing themselves right in the heart of town will love the InterContinental Warsaw and Hotel Bristol, A Luxury Collection Hotel, Warsaw, which are located within a 1-kilometre (0.6-mile) radius of Warsaw's downtown area. 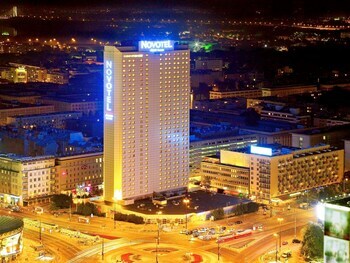 One of the most common hotel neighborhoods in Wola, is 4 kilometres (2 miles) from downtown Warsaw. Wola offers 39 hotel establishments. Some of the Expedia-listed hotels in Wola are the Platinum Towers Country 2 Country and Platinum Towers E-Apartments. 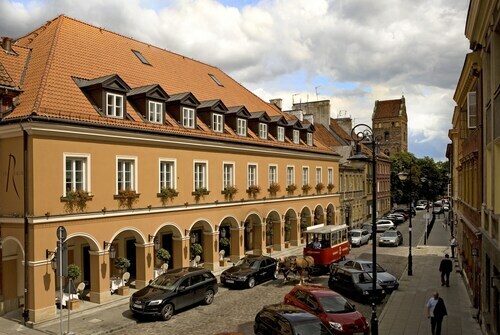 An alternative place to stay is Srodmiescie which is approximately 0.8 kilometres (0.5 miles) from downtown Warsaw. 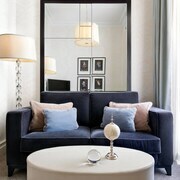 Srodmiescie's accommodations include the P&O Apartments Arkadia and H15 Boutique. 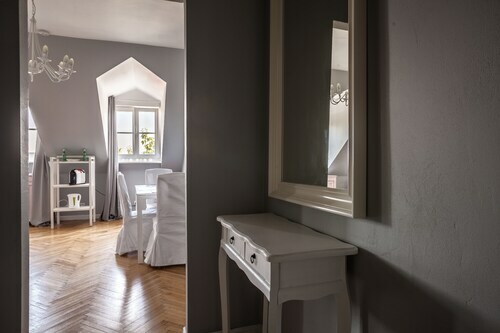 Another option is to find somewhere to base yourself in Wesola, which is home to the Villa Park Wesoła and P&O Apartments Rondo Radosława, and Nowe Miasto, which is home to the Mamaison Hotel Le Regina Warsaw and Design City - Mostowa Apartment Old Town. Wilanow is 11 kilometres (7 miles) from Warsaw's downtown, while Piaseczno is 20 kilometres (14 miles) from the center of Warsaw. The Hotel Wilanów Warszawa by DeSilva and P&O Apartments Wilanów can be found in Wilanow, while Hotel DeSilva Warszawa Piaseczno and Noclegi 24h Piaseczno - Hostel are situated in Piaseczno. The Royal Castle is one of a handful of the most famous attractions in Warsaw. 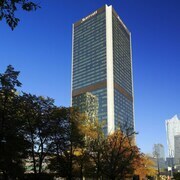 The Castle Square Apartment and Warsaw Marriott Hotel are all nearby. 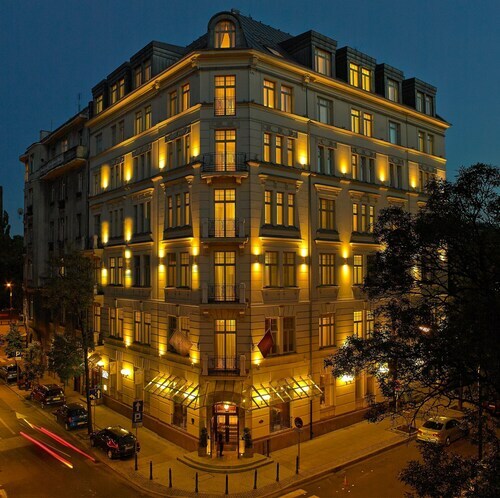 The Residence St. Andrew's Palace and the Radisson Blu Sobieski Hotel are within a short walk from the Presidential Palace, while the Exclusive Apartments - Atelier Residence and Hilton Warsaw Hotel & Convention Centre are positioned near the Warsaw Uprising Museum. The Warsaw Uprising Monument, another important Warsaw attraction, is close to the Polonia Palace Hotel and the Hotel Rialto. 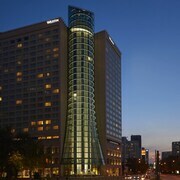 Accommodation options that are near the Powazki Cemetery include the Babka Tower Suites and the Radisson Blu Centrum Hotel, Warsaw. If you are flying into or out of Frederic Chopin Airport and plan to stay nearby try Courtyard by Marriott Warsaw Airport or Sound Garden Hotel Airport. 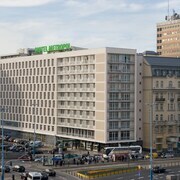 What are the most popular Warsaw hotels? 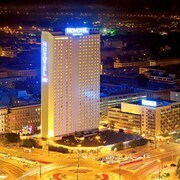 Are there hotels in other cities near Warsaw? What other types of accommodations are available in Warsaw? Explore Warsaw with Expedia.ca’s Travel Guides to find the best flights, cars, holiday packages and more!